A minute doesn't go past in the blogging world without someone talking/tweeting/posting about Makeup Revolution so obviously I've been dying to check out their products. I had high expectations seeing as so many other beauty bloggers were impressed - and we're the toughest critics aren't we?! I probably could have bought everything on the website but for my first order, narrowed it down to these five beautys! 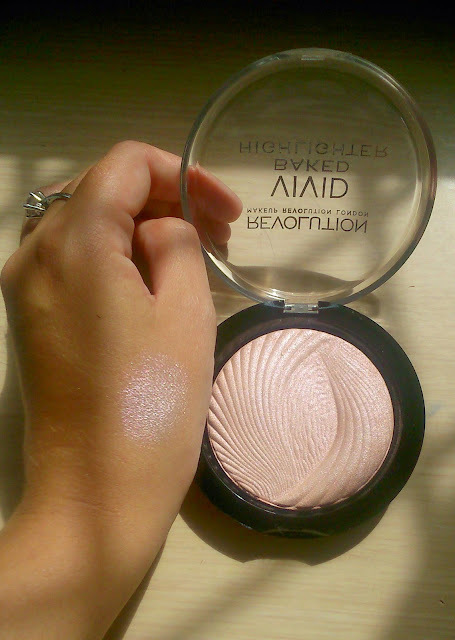 When I first swatched this on my hand I was worried I bought a shade too light as you can see in the photo but once it was on it was perfect! I was amazed at how pigmented the colour was, I only needed one swirl of my brush (I'm usually a vigorous swirler!) and that's more than enough product. 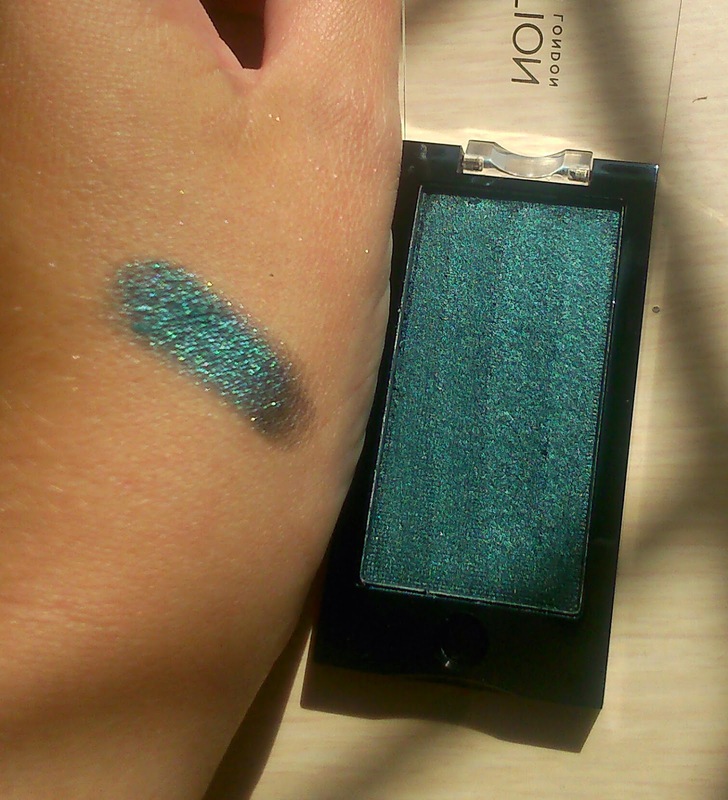 I love the shimmer, it's perfect for summer and the best part is the size of the product! I'm pretty sure it'll last me forever even using it every day, and I'm glad! 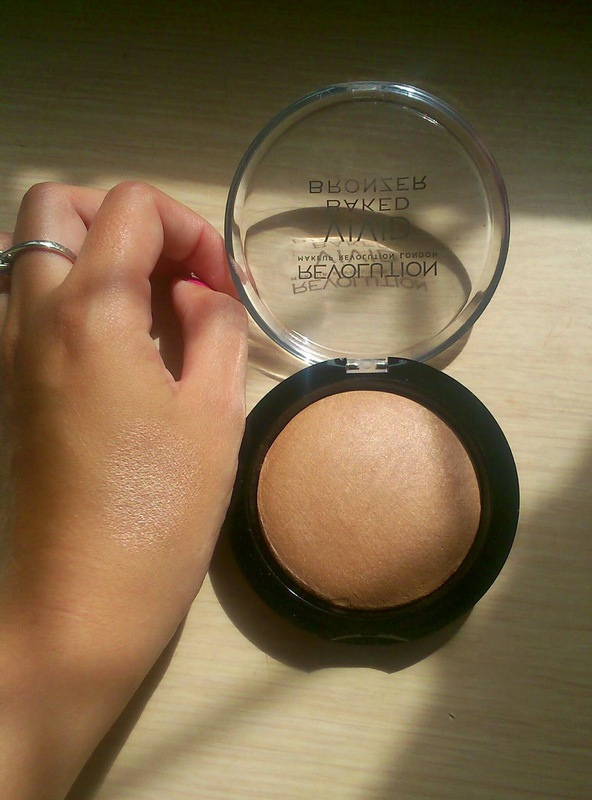 I'm a massive highlighter lover, particularly on these lovely sunny days to give an overall glow, and this one is perfect. 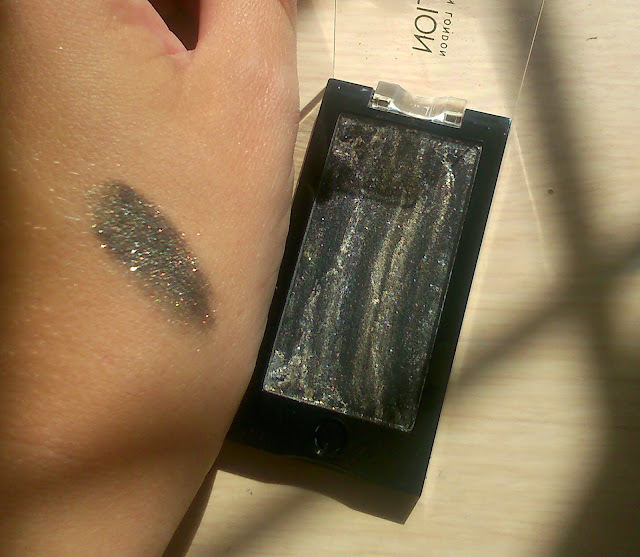 You only need the tiniest dab of product for daytime and just a little more at night as it's so pigmented. This is another product that'll last me forever which is a massive plus from me, particularly as it was only £3! 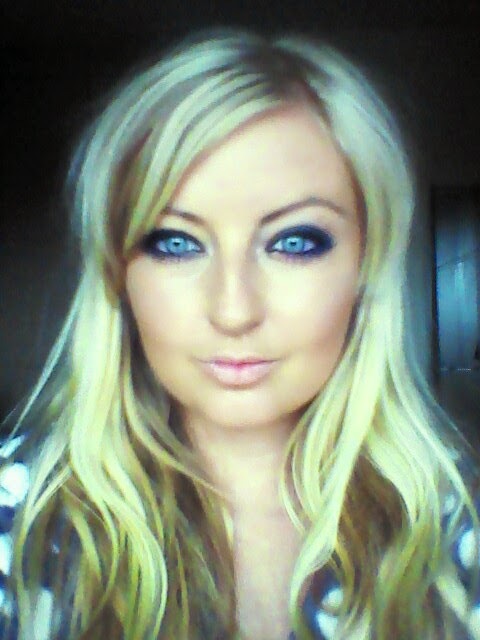 I have bright, ice blue eyes and love using a touch of colour around the outer edge to make my eyes really pop and it eyeshadow definitely doesn't disappoint! Again, it's highly pigmented so hardly any is needed, it also has a lovely shimmer and blends well! I still can't believe it was only £1!! I bought this eyeshadow to blend in with my smokey eye when I want something a bit different and it works a treat. 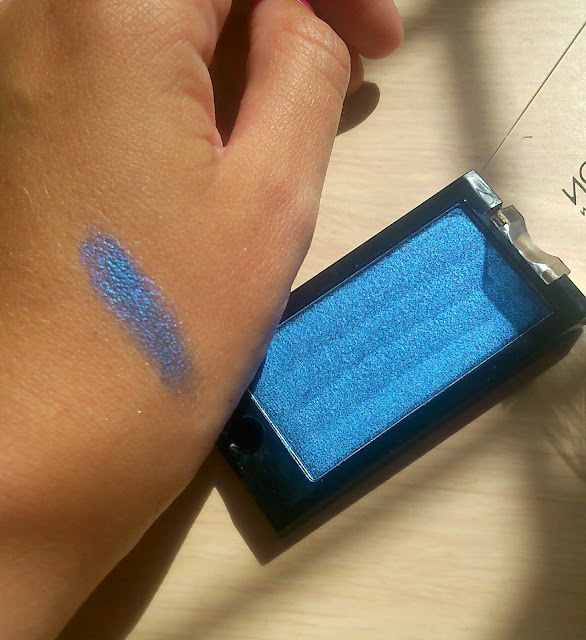 Similarly to the 'In the Deep' eyeshadow, 'Eden' is highly pigmented and blends well. As soon as I saw the merged eyeshadows, I fell in love! With the sprinkles of gold and glitter, this is perfect for a night out and looks great with a smokey eye. Be careful when applying though, I ended up getting glitter on my hands and then wiped it all across my face - not ideal! I have officially joined the revolution! I'm in love with the quality, pigmentation, price and size of the products - so pretty much everything. I'm already writing my wishlist for my next order! Please start doing makeup brushes too!!! So here are the products in action! 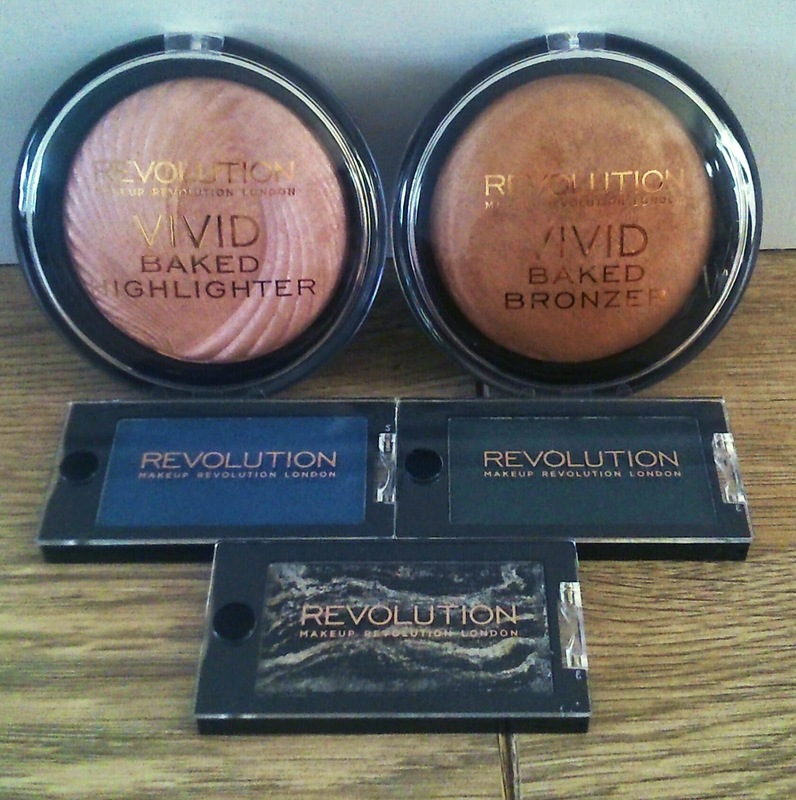 I've used the Makeup Revolution bronzer and highlighter with In the Deep eyeshadow on the right of the photo and Eden on the left - not that the quality of the silly photo is good enough to tell - trust me it looks better in real life! Also need to say how amazing Makeup Revolution's social media team are - I think every brand should take note of how they engage with customers. At least someone is embracing social media for business in the right way! I have to say I've heard a little about them but these products look grogeous - especially for the price!! 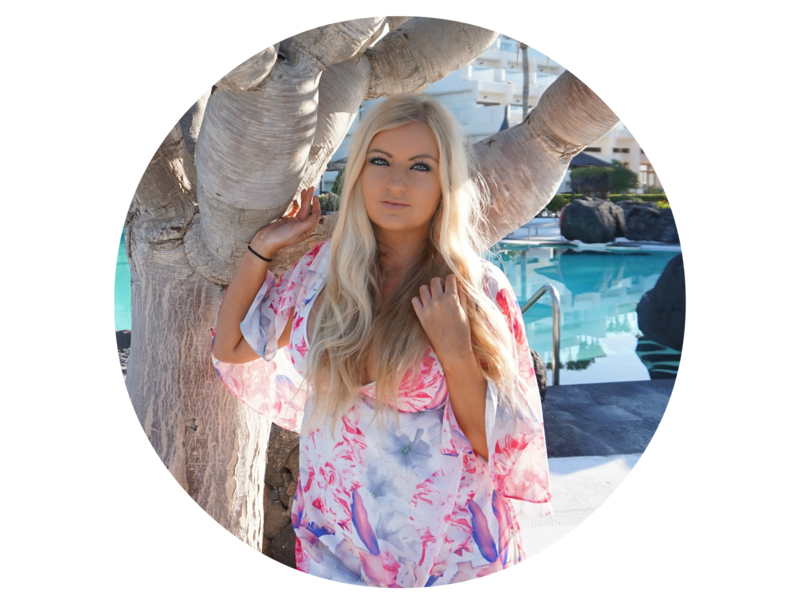 Just followed your blog on bloglovin, would love if you could check out my blog back! You should definitely check them out, they're amazing, especially for the price!